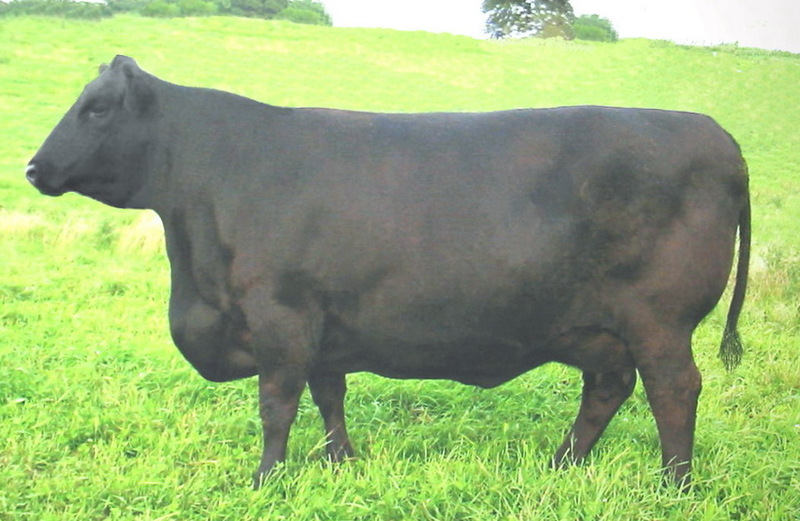 Donor Dams on both sides of Carol's pedigree. 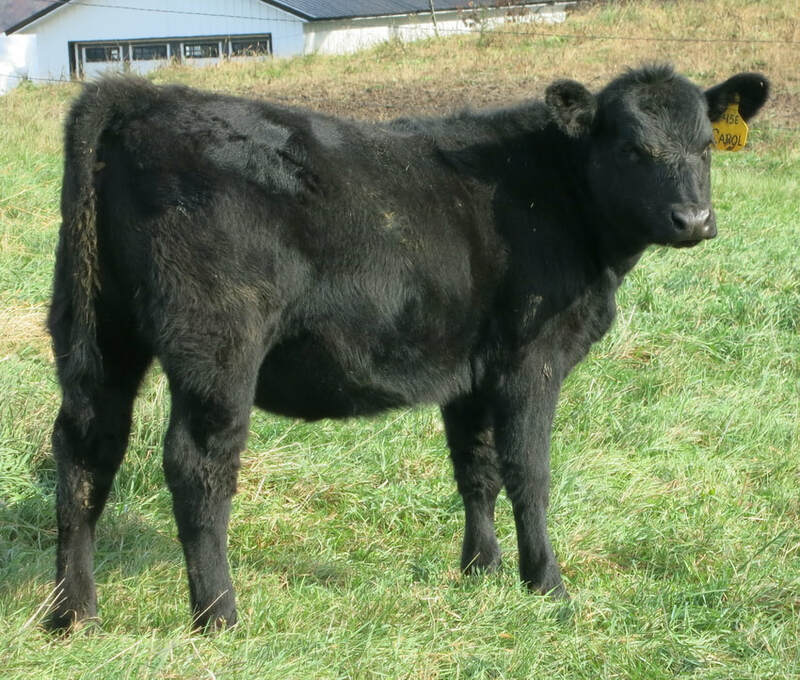 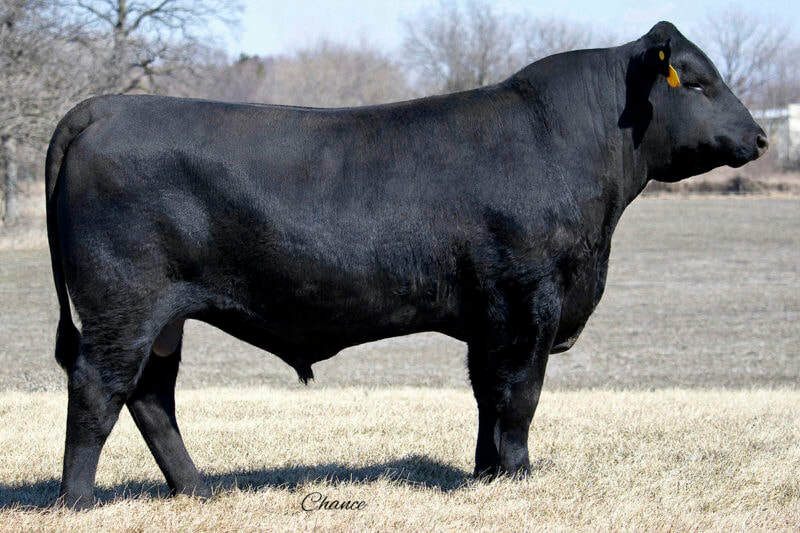 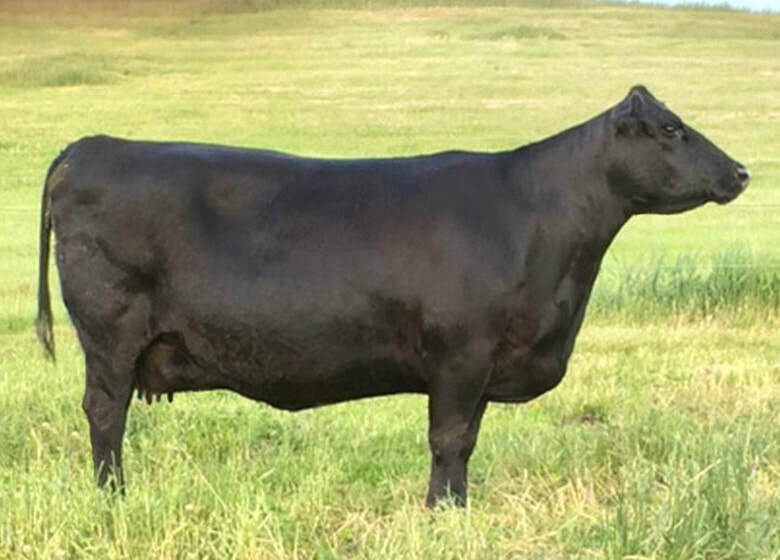 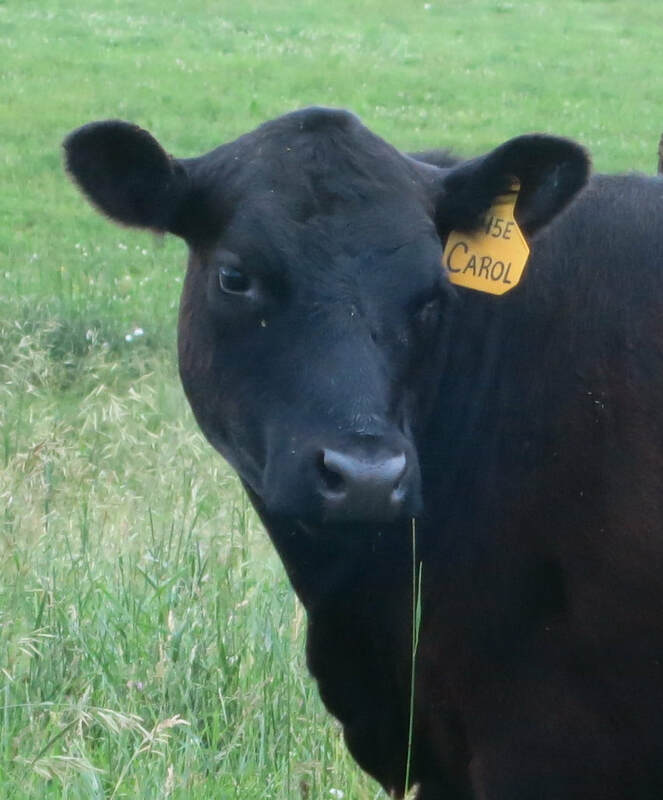 (Maternal) Carol traces back to CFF New Design 036 1367, our Embryo Donor Dam known for her structural soundness and easy-fleshing. 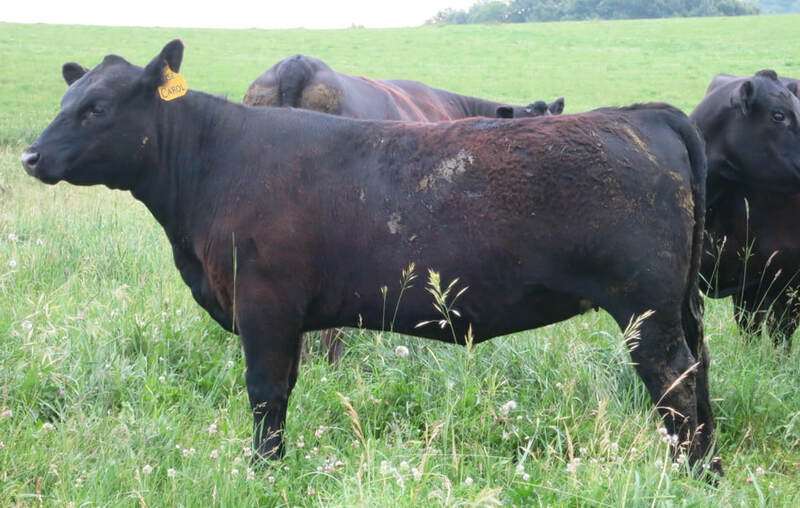 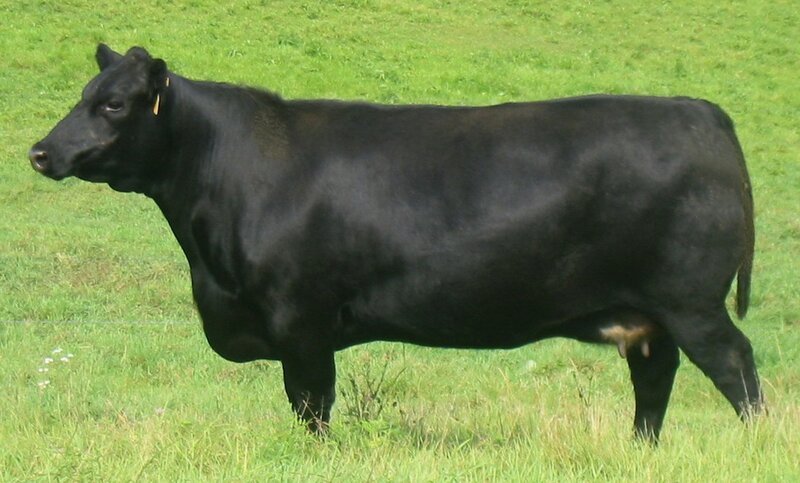 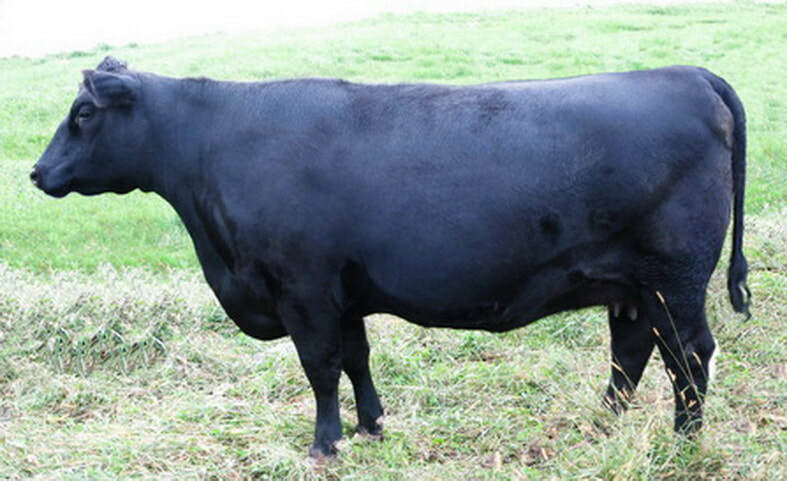 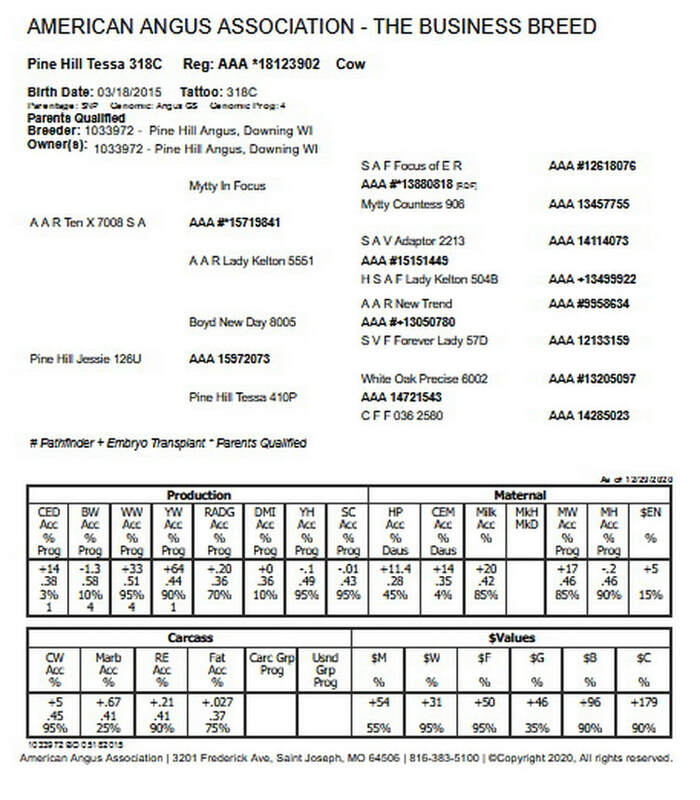 (Paternal) Pine Hill Jessie 126U one of our most successful Donor Cows. Her Dam's birth-weight: 66 pounds. 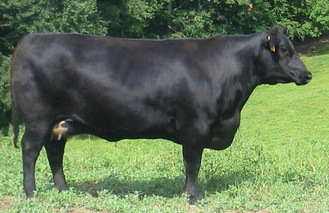 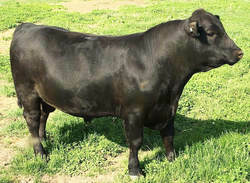 Her Grand Dam's birth-weight: 51 pounds. 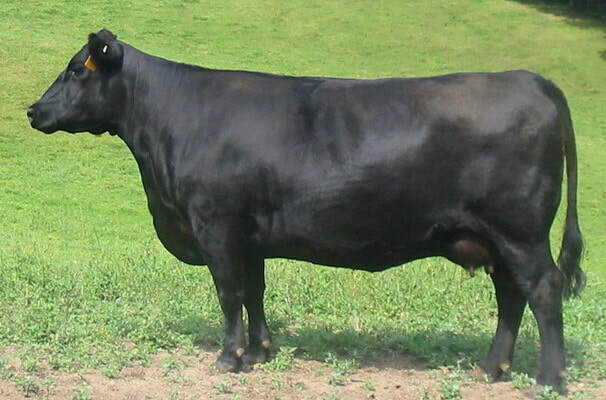 Her Great Grand Dam's birth-weight: 53 pounds. 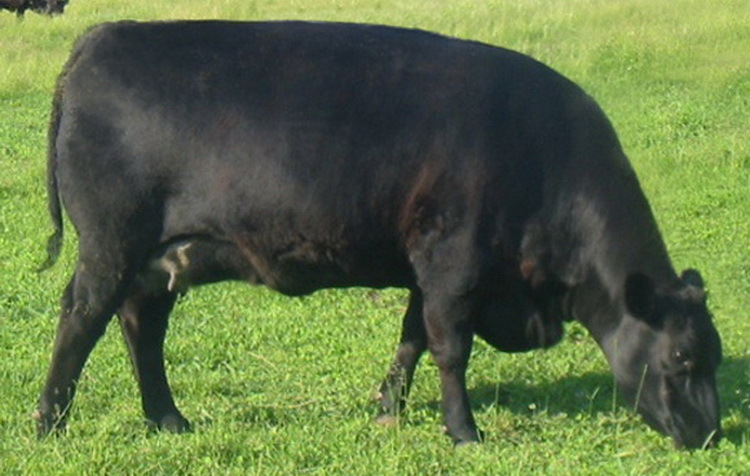 Her Great Great Grand Dam's birth-weight: 62 pounds. 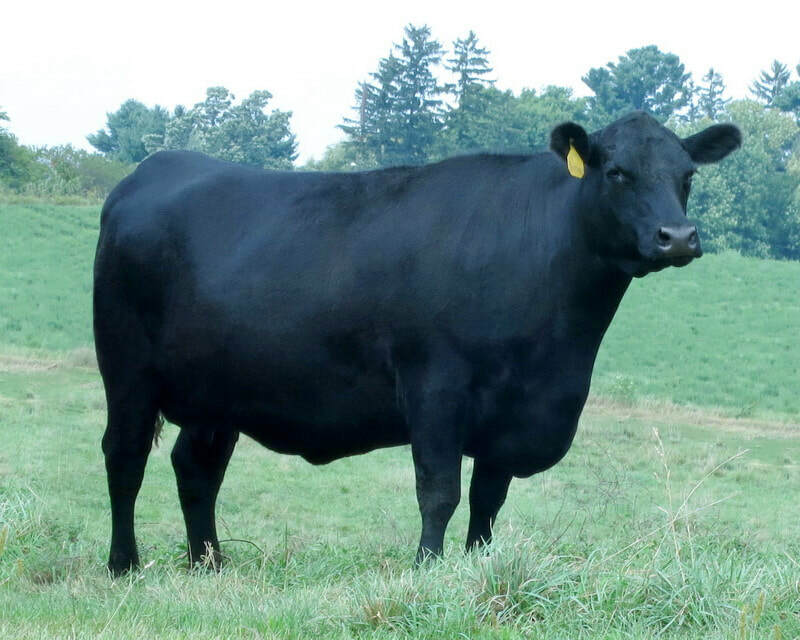 Her Great Great Great Grand Dam's birth-weight: 71 pounds. Looking at her 4 calves Ratio's, you notice that her light birth-weight calves go on to wean heavier than their herd-mates. 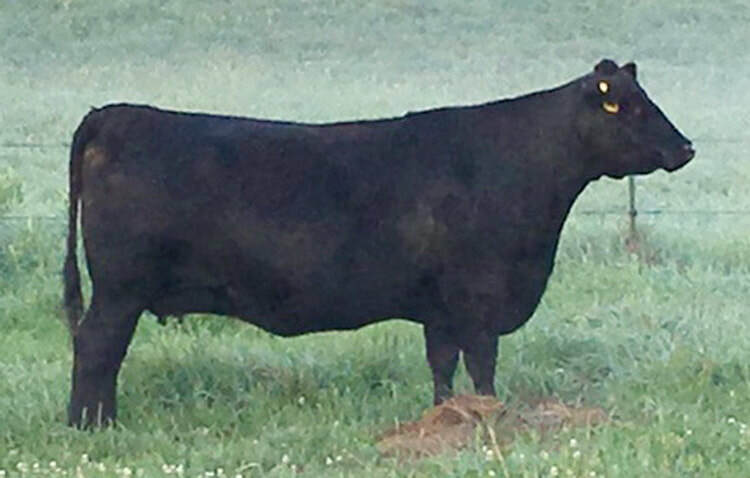 This very desirable trait is possessed by this heifer, her Dam, and her entire cow family.